The European Science Cluster of Astronomy & Particle physics ESFRI research infrastructures (ESCAPE) project has received funding of €16 million through the Horizon 2020 Research and Innovation programme of the European Union  and will be launched in the first quarter of 2019. 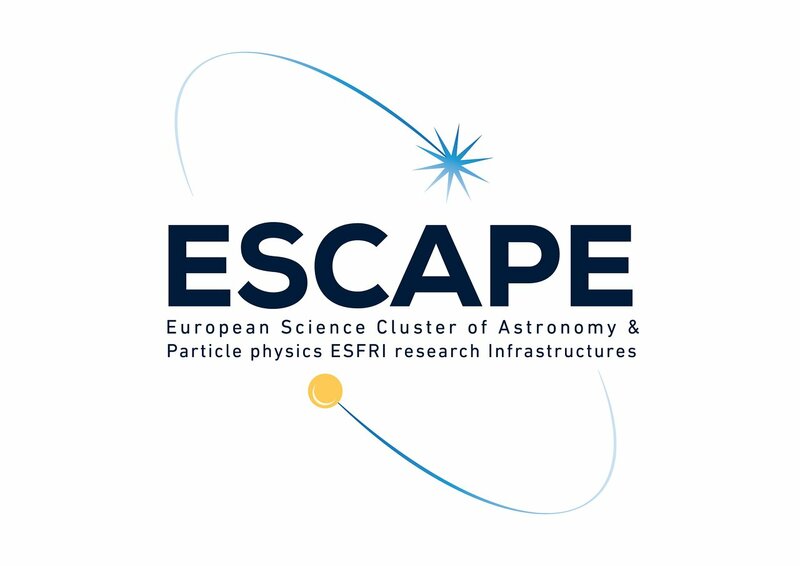 By bringing together key pan-European astronomy and particle physics facilities on the European Strategy Forum on Research Infrastructures (ESFRI) Roadmap the ESCAPE project will address the challenges in open science and data accessibility faced by European researchers. The ESCAPE project will combine the efforts of participating institutions to make data and software in multi-messenger astronomy and accelerator-driven particle physics open, accessible and interoperable. Led by the French National Center for Scientific Research (CNRS), over the course of 42 months, ESCAPE will drive collaboration between 31 European scientific and industry partners to answer critical questions of open science and data innovation in data-driven scientific research. “The name ESCAPE was chosen because our cluster aims to let data and research fly out from confinement,” explains Dr. Giovanni Lamanna, Director of the CNRS laboratory LAPP (Laboratoire d'Annecy de Physique des Particules) and Principal Investigator of the ESCAPE project. This ambitious project will improve collaboration in multi-messenger astronomy and accelerator-driven particle physics by developing a pan-European infrastructure and methodology for the storage, analysis, and dissemination of large datasets. ESCAPE will also focus on educating the members of the European scientific community on efficient data stewardship and implementing the principles of the European Open Science Cloud by providing researchers with an integrated open science platform for data analysis. ESCAPE has received funding through the Horizon 2020 Research and Innovation programme by the European Union, under the Grant Agreement No. 824064. ESCAPE’s domain expert and skilled consortia of facilities is broad, and knowledgeable. It includes ESFRI projects/landmarks such as the Cherenkov Telescope Array (CTA), the Extremely Large Telescope (ELT), the European Solar Telescope (EST), the Facility for Antiproton and Ion Research in Europe (FAIR), the High Luminosity-Large Hadron Collider(HL-LHC), the cubic-kilometre-sized Neutrino Telescope (KM3NeT), and the Square Kilometre Array (SKA). Two pan-European International Organizations, the European Organization for Nuclear Research (CERN), and the European Southern Observatory (ESO), are also members of the ESCAPE cluster. The European Virtual Observatory (EURO-VO) is also actively engaged in this endeavour. ESCAPE also brings on board other world-class established astronomical observatories, such as those operated by ESO (e.g. APEX, ALMA, the Paranal and La Silla observatories), research infrastructures such as the European Gravitational-Wave Observatory (EGO-Virgo) and the Joint Institute for VLBI ERIC (JIVE). The complete list of ESCAPE partners can be found in the ESCAPE Press Release.